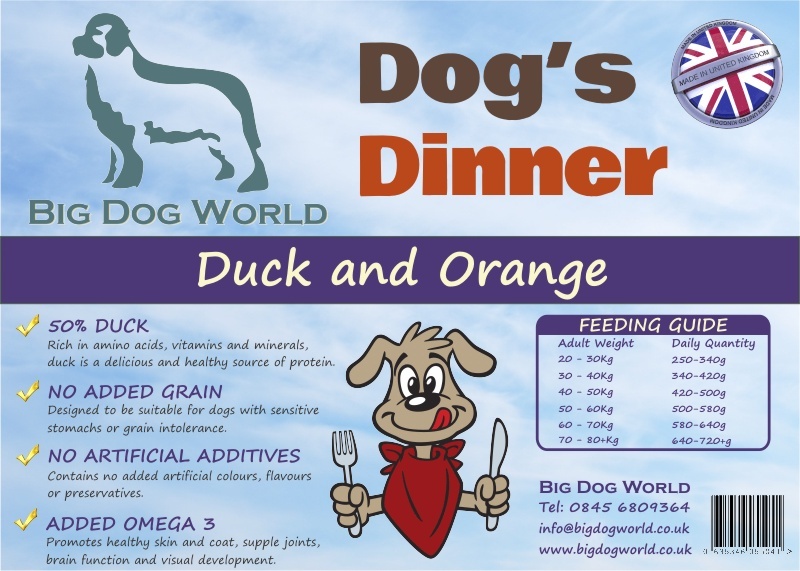 Dogs Dinner with Duck; Sweet Potato and Orange is a delicious recipe that your dog is sure to love. With 50% Duck and added Omega-3 for healthy coat and joints. Duck 50% (including 28% Freshly Prepared Duck; 20% Dried Duck & 2% Duck Stock); Sweet Potato (26%); Peas; Potato (8%); Beet Pulp; Linseed; Omega 3 Supplement; Vitamins & Minerals; Vegetable Stock; Orange (equivalent to 7.5g per Kg of product); Cranberry; Prebiotics.